Grape seed extract (Vitis vinifera) is a natural substance available in capsule and tablet form. It is usually sourced from grape seeds provided by wine manufacturers. Grapes and grape seed extract have a long history of culinary and medicinal use. Since ancient Greece, various parts of the grape have been used for medicinal purposes. There are reports of ancient Egyptians and Europeans have used grapes and grapes seeds as well. Today, we know that grape seed extract contains oligomeric proanthocyanidin (OPC) an antioxidant that is believed to improve certain health conditions. Some scientific evidence supports the use of of grape seed or grape seed extract to reduce poor blood flow in the legs and to reduce eye stress due to glare. Scientific support for the benefits of grape seed extract is limited. So there is not enough evidence to know for sure if grape seed extract can improve any of these conditions. Additional research has investigated these purported benefits of grape seed extract. 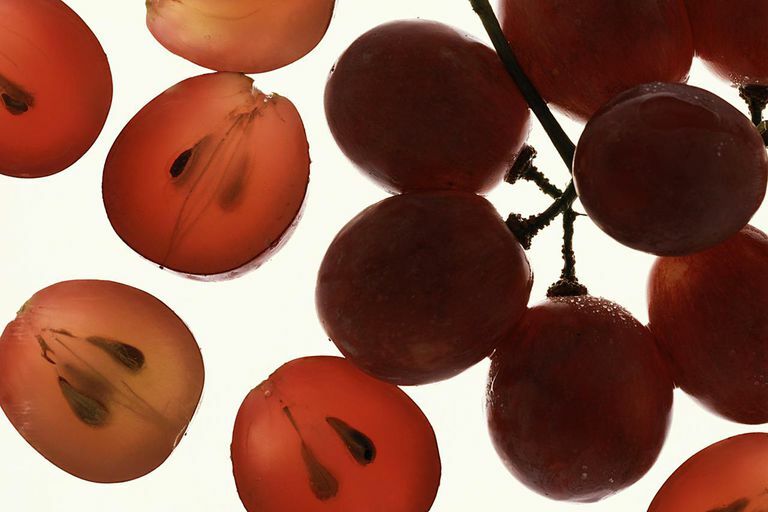 Proponents claim that grape seed extract can help protect against cancer. In laboratory studies, scientists have demonstrated that grape seed can help fight free radicals (chemical by-products known to cause DNA damage associated with cancer). However, it is still unclear whether grape seed can lower cancer risk in humans. In a 2009 study of 32 type 2 diabetes patients at high cardiovascular risk, participants took 600 mg of grape seed extract or a placebo every day for four weeks. Study results showed that grape seed extract significantly improved markers of inflammation and glycemia. The study's authors suggest that grape seed extract may have a therapeutic role in decreasing cardiovascular risk. In a 2009 study of subjects with metabolic syndrome, researchers found that four weeks of treatment with grape seed extract lowered both systolic and diastolic blood pressure. Metabolic syndrome is marked by a cluster of health problems (including excess belly fat, high blood pressure, high cholesterol, insulin resistance, and inflammation) known to raise your risk of heart disease and type 2 diabetes. Grape seed extract may help delay the development of Alzheimer's disease, according to an animal study published in 2009. In tests on mice, scientists discovered that grape seed extract eased inflammation and prevented the accumulation of substances known to form the brain plaques associated with Alzheimer's disease. Grape seed extract is generally well-tolerated when taken by mouth however it may cause adverse effects such as headache, dry or itchy scalp, dizziness, and nausea. Due to the lack of supporting research, it's too soon to recommend a specific dose of grape seed extract for any health purpose. Different doses of the extract have been used in research. For example, doses ranging from 150mg to 750mg daily for six to 12 weeks has been used in studies where scientists were learning about eye stress and poor blood flow. However, your recommended dose may vary based on gender, age, and medical history. If you considering using grape seed extract, talk with your primary care provider first. Self-treating a condition and avoiding or delaying standard care may have serious consequences. Grape seed extract is available in capsules and tablets and as a liquid. The antioxidant compound oligomeric proanthocyanidin (OPC) is a by-product of the wine industry as it is found in extracts of grape skin and grape seeds. Some medical sources say that you should look for products that are standardized to 40 to 80 percent proanthocyanidins or an OPC content of not less than 95 percent. Before buying this or any supplement, the National Institutes of Health (NIH) recommends that you look for a Supplement Facts label on the product. This label will give you information about the amount of active ingredient contained in each serving and information about other added ingredients. Will eating grapes give me the same benefits of grape seed extract? Grapes can be a very healthy snack, but the concentration of the antioxidant OPC will be much higher in the extract than it will be when you consume a single serving of grapes. What kind of grapes are best for my health? Any kind of grape—just like every whole fruit—provides certain nutritional benefits. The grapes that are most often studied regarding the health benefits mentioned are red wine grapes. These grapes are sometimes, but not always, available in grocery stores. Kar P, Laight D, Rooprai HK, Shaw KM, Cummings M. "Effects of Grape Seed Extract in Type 2 Diabetic Subjects at High Cardiovascular Risk: a Double Blind Randomized Placebo Controlled Trial Examining Metabolic Markers, Vascular Tone, Inflammation, Oxidative Stress and Insulin Sensitivity." Diabet Med. 2009 26(5):526-31. National Center for Complementary and Alternative Medicine. "Grape Seed Extract [NCCAM Herbs at a Glance]" NCCAM Publication No. D370. Created March 2007. Updated May 2008. Sivaprakasapillai B, Edirisinghe I, Randolph J, Steinberg F, Kappagoda T. "Effect of Grape Seed Extract on Blood Pressure in Subjects With the Metabolic Syndrome." Metabolism. 2009 58(12):1743-6. Wang YJ, Thomas P, Zhong JH, Bi FF, Kosaraju S, Pollard A, Fenech M, Zhou XF. "Consumption of Grape Seed Extract Prevents Amyloid-Beta Deposition and Attenuates Inflammation in Brain of an Alzheimer's Disease Mouse." Neurotox Res. 2009 15(1):3-14. Can Boswellia Help to Ease Inflammation and Pain?